Crime will not flourish in a community that cares. This website is for all residents of and workers in the London Borough of Redbridge. It provides access to information and advice for keeping ourselves and homes, safe and secure. The site is open to all. With your help, we can make your local neighbourhood safer. You make the call, we'll make it stop. We aim to work collaboratively in reporting incidents to raise awareness and protect ourselves, our loved ones and our homes and cars. OWL is our Online Watch Link program for community messaging, if you register at this website, we will add you there too (if you tick the right data consents). In essence, this is a simple guide to common sense regarding life in Redbridge. The majority of our residents are good, law-abiding people who wish to protect themselves against the evil brought to bear by a few selfish folk, some of whom live here, many of whom do not. They need to learn that we will not be easy victims and they are clearly not welcome. If you are a new visitor to this site and are interested in helping us and the Police to reduce crime, please register, we will not share your details, nor will we bombard you with e:mails, but may contact you at a future date if enough people in your Neighbourhood express an interest in forming a watch. If you are a coordinator visiting for the first time, please complete the lower contact fields on the registration page, we have no other way of knowing. 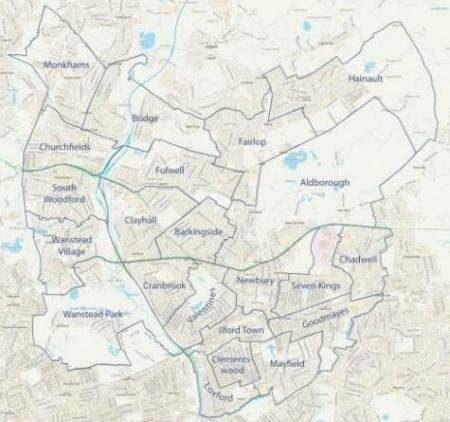 If you are unsure which Ward you live/work in, please click here, where you can enter your postcode (scroll down to "Find your area") to determine your Ward. This website will also let you see local crime statistics and provide contact details for your local SNT Officers.